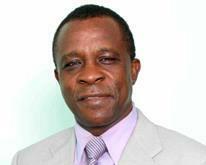 Prime Minister Dr Keith Mitchell left Grenada early this morning, Tuesday 22 April, for Trinidad, to join his mother at the funeral of his uncle, Elgin Jones. Mr Jones died last week at age 93. He was the older and last surviving brother of the prime minister’s mother. His funeral will be held today at the Bible Way Church on Lady Young Road in Morvant, Trinidad. Later tonight, PM Mitchell will travel to Amsterdam to attend the Global Ocean Action (GOA) Summit. He is expected to engage the Government of the Netherlands in the finalising of two Memoranda of Understanding, to obtain monetary support for Grenada’s agriculture sector, and our Blue Economy. The latter will be a joint concept among the ministries of Works, Fisheries, Energy and Tourism. At the summit, the announcements and bilateral arrangements with Grenada, will be the major cooperation agreement between the Netherlands and a developing country. The prime minister returns to Grenada on Saturday 26 April. In his absence, Deputy Prime Minister, Honourable Elvin Nimrod will be Acting Prime Minister.